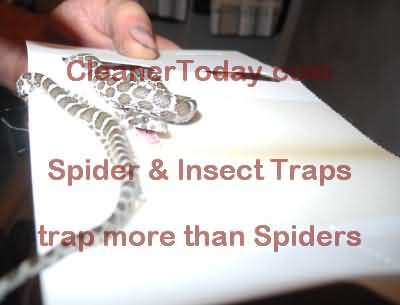 Cleaner Today puts you in control of Spider and Moth problems in your home. We offer Do-It-Yourself pest control products that are Pesticide Free, contain No Poisons and are disposable. Choose from Spider Traps or Moth Traps. Choose from an industry standard: Catchmaster sticky Spider Traps or TrapsDirect Ambush Spider and Insect traps featuring Ultra Light Catch Surface (ULC). CatchPower ATFe ratings are included for both TrapsDirect and Catchmaster products. DIY spider control solution use a top quality glue based spider trap to catch spiders and avoid painful spider bites. 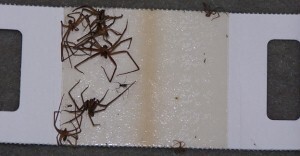 Spider Traps are effective against any crawling insect or spider especially the Hobo Spider, and Brown Recluse spider. In our global society, more foods are coming from overseas and unfortunately contain food moths as a result of the grain storage facilities, and packing process. The result, many homeowners are forced to battle an infestation of pantry moths when infested foods are brought into the home. (This also applies to bird food, dog food and cat food). We offer a DIY Pest Control Product - the Pheromone Moth Trap to capture the adult moths, and break the moth reproductive cycle. 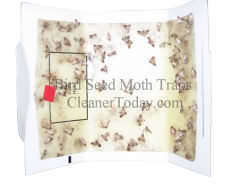 Over several breeding cycles, the moth infestation is controlled. The Able Catch Pantry Pest Traps are a universal trap for plodia interpunctella (food moths) and can control: Pantry Moths, Meal Moths, Flour Moths, grain moths or bird seed moths. Choose non-toxic, no poison, pesticide free Spider Traps or Moth Traps! Non-toxic, pesticide free pheromone lure. 2 Green moth traps. Safe for Pets and Family, natural pheromone lure. Traps bird seed moths, grain and other pantry moths. 2 complete bird seed moth traps. Always non-toxic, natural pheromone lure. Use to kill pantry moths. Controls flour bugs, mealy moth, and other pantry pests. 2 complete flour moth traps. Traps Direct - green spider traps. Enough coverage for a large area. Spider trap - safe, poison free and effective! Stop spiders fast with these sticky, effective spider glue trap. Spider trap that even Traps Snakes! TODAY I caught a bull snake!... in the bathroom. A few weeks ago my friend caught a snake as well (everyone that knows me has bought traps after I got bit). SO! I'd have to say that I love your spider traps!